Our mission is to be a leader in systems implementation, training and consulting to the health care industry and to provide automated solutions across all industry sectors. 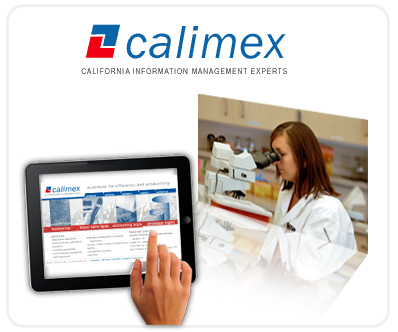 Calimex - California Information Management Experts, was incorporated in the State of California in 1991 with a global presence. We are a technology company with offices in California, Malaysia, Singapore and Sri Lanka. We specialize in setting up network and web enabled financial applications such as Oracle Financials and blood bank information management systems, such as Haemonetics SafeTrace® and SafeTrace Tx®. Whether it is a hospital, a blood bank or a biotech company, it is the bottom line that counts. Our objective is to provide our customers the technology resources they need to maximize their return on investment. Our quality of service can be FDA compliant and can adhere to GAAS and GAAP standards.